The eyes are commonly referred to as windows to the soul, which makes your eyebrows the frame. Well shaped, beautifully maintained eyebrows can have a major impact on more than your makeup look; when done well (or poorly), your eyebrows can almost magically alter the shape of your face. Because they can have such a major impact on your face as a whole, it’s important to take the time to care for your brows. This can mean everything from a monthly appointment with your tweezers to a well-honed daily brow routine. However, the most important part of any brow routine is a solid starting point. Below are some of the most common brow mistakes and how to avoid them. 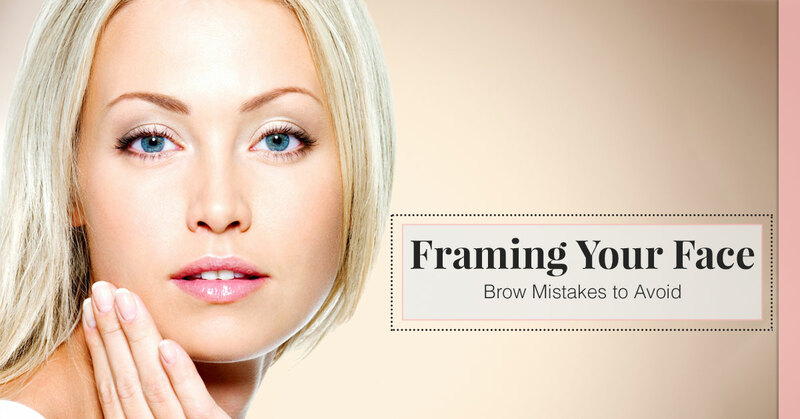 The best starting point for brows that frame your face well is ensuring they are shaped well. We suggest starting with a professional brow shaping from a professional makeup artist. Often, it’s helpful to have someone knowledgeable who can assess your face shape and features in order to determine the right shape for your brows. Once you’ve had your brows shaped by a professional makeup artist, like the team at Kiss N’ Makeup here in Austin, all you’ll need at that point is the occasional touch-up appointment. Generally speaking, tweezing less frequently is better than doing so often. Given the current lasting trend toward thicker, fuller brows, the number one advice we have when it comes to shaping is: step away from your magnifying mirror! When you tweeze, rely on natural sunlight as much as possible and step back a bit from the mirror. When you’re closer to the mirror, it’s more difficult to see how much you have plucked (or over-plucked); stepping back a bit allows you to keep better perspective on the overall shape of your brows. If you tend to struggle with redness when you pluck, save your tweezing time for right after the shower; your pores are more open from the heat, which will help cut down on redness and irritation. The wrong pigments can also have a major impact on your brow look. The goal for any product you use on your brows should be to avoid notice while enhancing shape and depth. When choosing pencils or powders, the general guideline is to choose colors that are a shade or two lighter than your hair color and, if you have highlights, matching that lighter shade can help your brows look more natural. Can you color within the lines? Along with the colors you choose to fill in and define your brows, how you fill in your brows can drastically alter your look. After you’ve gone to a professional makeup artist for a shaping, the base structure will be there to guide you, but a heavy-handed application can hinder the shaping. Use short, light strokes to fill in your brows, and don’t forget to use a brow brush to keep your brow makeup application looking natural. Help your brows look their best. 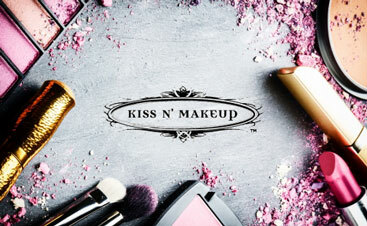 Contact the professional makeup artist team at Kiss N’ Makeup in Austin for a brow shaping or a makeup consultation today!